The ARCTIC RC RAM features cooling four pieces of passive aluminum chips in DDR2 or DDR3 chips to help achieve better overclocking results. 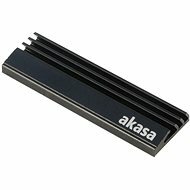 The heavy duty adhesive tape is preloaded on the coolers so application to memory modules is instantaneous. For shipping to other EU countries visit this page ARCTIC RC RAM Cooling. 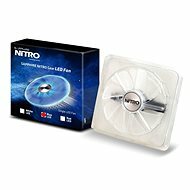 Für Versand nach Deutschland, besuchen Sie bitte ARCTIC RC-RAM Cooling. Chcete doručit zboží do Česka? Prohlédněte si ARCTIC RC-RAM Cooling. Chcete doručiť tovar na Slovensko? Prezrite si ARCTIC RC-RAM Cooling. Für Versand nach Österreich, besuchen Sie bitte ARCTIC RC-RAM Cooling. Magyarországra történő kiszállításért tekintse meg ezt a termékoldalt: ARCTIC RC-RAM Cooling.